I am a lucky woman! Hubby likes cooking and baking! Over the weekend I snapped a few pictures of him making these amazing peanut butter cookies. *Warning: Not good on the diet! These are not made often, or I probably would not make it through the door of our house. 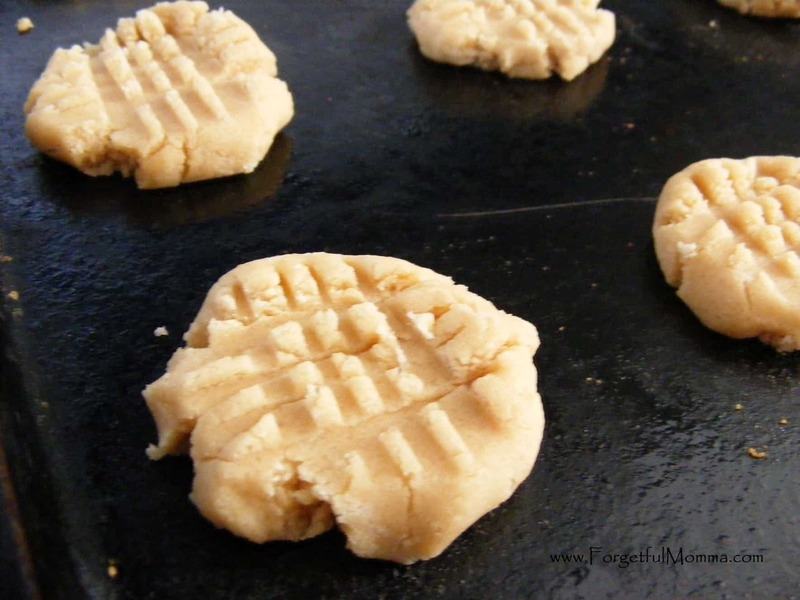 If you love peanut butter, then you will love these cookies. We are a lover of all peanut butter related recipes, like Apple – Peanut Butter Wraps and Peanut Butter and Jam Muffins. Preheat oven to 350. 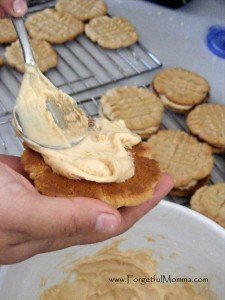 Mix peanut butter, shortening, sugars and milk together until fluffy. Add the rest of the ingredients and mix well. Roll into small balls and drop about 2 inches apart on a greased cookie sheet. They will spread out. Bake for 10-12 minutes. Combine in a small bowl adding enough milk to make for a creamy, frosting like texture. Spread frosting on one cookie and top off to make “sandwich”. Enjoy!! Spread frosting on one cookie and top off to make "sandwich". Enjoy!! I can imagine that if you are a fan of Nutella, that you could use it as a filling instead of the peanut butter for the frosting… I haven’t done it! Thanks for linking up with Pinterest Monday!